Jason Robards, honored twice with Academy Awards for his work on screen but always happier on the stage, died Tuesday, reports CBS News Correspondent Jerry Bowen. He was 78. Robards, who won back-to-back Oscars for All the President's Men and Julia, died at the Bridgeport Hospital, nursing supervisor Sally Dalton said, at about 2:45 p.m. EDT after a long battle with cancer. is the fact that the guy I'm playing is dying of cancer." In reality, Robards had come out of a coma and off his own sickbed for the part. Robards started out as a stage actor in the 1950s, gaining critical acclaim for his performances in Eugene O'Neill plays, including The Iceman Cometh and Long Day's Journey Into Night. He won a Tony award for his performance in The Disenchanted. Robards was born Jason Nelson Robards Jr. on July 26, 1922, in Chicago, the son of Jason Nelson Robards Sr., a prominent actor with 175 films to his credit. Despite his father's prolific career, the young Robards had no interest in acting while he was growing up. At Hollywood High School in Los Angeles, Robards was on the baseball, football, basketball and track teams, and thought about becoming a professional athlete. After graduating in 1939, he went on active duty with the U.S. Naval Reserve as an apprentice seaman. While serving in the Pacific, Robards read some plays by O'Neill and told his father he wanted to try his hand at acting. At his father's urging, Robards enrolled in the American Academy of Dramatic Arts in 1946. In 1953, director Jose Quintero gave him the male lead in Victor Wolfson's American Gothic, which opened at the off-Broadway Circle in the Square. He earned his first critical acclaim in May 1956, when he appeared in The Iceman Cometh at the Circle in the Square, again under Quintero's direction. Robards played Hickey, the salesman who forces the characters to accept death. He made his film debut in 1959, playing a Hungarian freedom fighter in The Journey. After the film was shot, Robards said he preferred theater to the movies. "Once you're on, nobody can say 'Cut it.' You're out there on your own, and there's always that thrill of a real live audience," he told Newsweek in a 1958 interview. Yet he went on to make more than 50 feature films, winning Academy Awards for his portrayal of Washington Post Executive Editor Ben Bradlee in All the President's Men in 1976 and novelist Dashiell Hammett in Julia the following year. "He was an extremely skilled actor, but you never saw that," said Los Angeles Times film critic Kenneth Turan. "You just saw someone who was just being himself." His other films included: Divorce American Style, 1967; Johnny Got His Gun, 1971; Coms a Horseman, 1978; Melvin and Howard, 1980; and Philadelphia, 1994. In 1997, he played the tyrannical land baron father in A Thousand Acres, the film adaptation of Jane Smiley's Pulitzer-prize winning novel. The film featured Jessica Lange, Michelle Pfeiffer and Jennifer Jason Leigh as his daughters. In 1999, Robards was one of five performers selected to receive the Kennedy Center Honors. 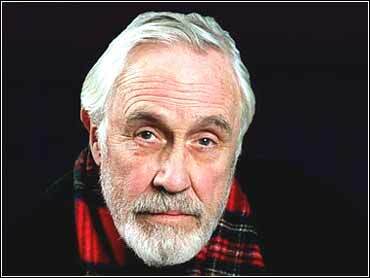 Despite his prolific film work, Robards stayed loyal to the theater. "I love the theater because it's alive. It's a beginning, a middle and an end, and it begins a life," he once said. Robards, who was known as a classical actor, shunned the notion of "method" acting and actors who look for motivation for their stage work. His approach was unpretentious and highly literate. "I look at the words," he said in a 1993 interview with The Providence Journal-Bulletin. "All I know is, I don't do a lot of analysis. I know those words have to move me. I rely on the author." damn lines and don't bump into each other.'" Robards was married four times  including once to Lauren Bacall  and had six children. In his later years, he lived with his wife of more than 30 years, Lois, in what he once called "a quiet life on the water" in nearby Fairfield. After a bad car accident in 1972, Robard's face had to be surgically reconstructed. He said that he had had bouts of depression during his life and was once a heavy drinker. He said he gave up alcohol in 1974. He sometimes rejected characterizations of him as America's leading actor, saying in 1993: "All I know about acting is that I just have to keep on doing it."